LOOKING AHEAD: Coffs Harbour Deep Sea Fishing Club president Bill Mabey is confident of the club’s future. A LIFELINE has been handed to the Coffs Harbour Deep Sea Fishing Club in a move that could see the venue re-established. A creditors' meeting on Tuesday evening granted a 45-day extension to sell the business, allowing a business plan lodged by the Save the Fishos group to be considered. The club had been facing liquidation after collapsing into voluntary administration in April. 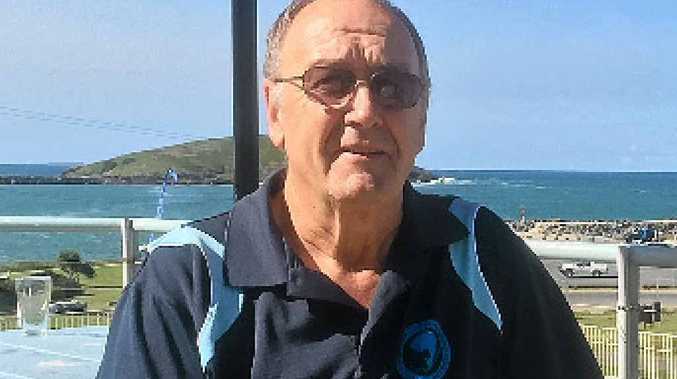 Coffs Harbour Deep Sea Fishing Club president Bill Mabey said the business plan outlines re-establishing the venue along with forecasts of providing financial returns to creditors. "The business proposal is designed to restructure the club, but first of all we have to raise the funds internally or settle the debt," Bill said. He said the club is considering several financing options including seeking community donations or calling for life memberships on the July 1 renewal date. The sale of poker machines have also been flagged in the proposal. "The proposal is a considerable restructure focusing on the core of the business based on the recreational activities as a fishing club," Bill said. "Based on the community response we've received, there will definitely be a future for the club." One amalgamation offer was previously declined. Grant Thornton Australia administrator Andrew Sallway said the extension was a positive move for the community. "This is positive news for the club and its stakeholders," Andrew said. "We now have time to work with the Save the Fishos group to finalise their proposal."